For over 100 years Hertz are proud to continue to be the No 1 car rental company in the world, operating from over 8,500 locations in approximately 150 countries worldwide. Dedicated to providing business and leisure travellers with a quality rental service, we offer local support to help our customers with any questions or queries that may arise and we employ over 1,200 people in Ireland through our Hertz Ireland rental network and at the Hertz European Services Centre in Swords, Co. Dublin. We are delighted to welcome Emma McHale to our team who joined us in September to take up the role of Leisure Sales Executive based at the Hertz Ireland Head Office in Wexford. Emma joins the team with great enthusiasm for the position and has been actively introducing herself to agencies over the past number of weeks. Visiting agents and providing information on our products and services will be top priority for Emma who will be on the road again in the very near future. 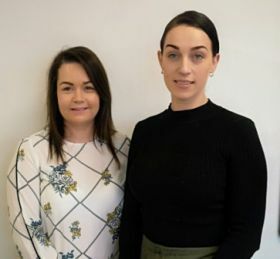 Emma joins Senior Sales Administrator Sinéad Murphy to form our new Travel Trade team, Sinéad has been part of the Hertz team in Wexford for the past 9 years and has worked with the hertz-gsa.ie booking tool since its introduction in 2015. Both ladies will be available to answer any of your queries and provide you with quick and efficient solutions to any issues that may arise.